This is one of my favorite quotes lately (and yes, it's from the "coach" of Friday Night Lights)! So often, we kind of get stuck waiting for the "right" opportunity to change something in our lives. 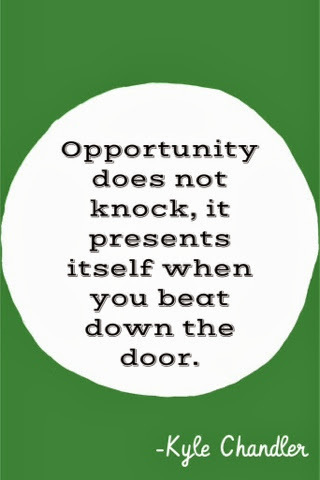 The reality, though, is that we make our own opportunities! Happy Monday (and St. Patrick's Day), y'all!